If you intended to watch the Dragalia Lost Mobile Direct, bad luck bub, as you’ve just missed it, but if you were hoping the game would be good, based on what we have just seen, the answer is yes. There are a few similarities to Fire Emblem Heroes, especially due to the fact that there is a summoning mechanic to the game, strengthening characters by levelling up the number of stars they have, more than 60 playable characters and more, but Dragalia Lost genuinely looks like mobile a game worth playing. Characters can be swapped via the press of a button, the dragons you form packs with, each has something to other in battle, there are elemental advantages and what’s more all quests can be played as part of a supported multiplayer mode, there will even be multiplayer events and players will have the means to create their own rooms and invite other players. Dragalia Lost is all about letting players play how they want. Party members can be customized in all sorts of ways, whether it’s through new equipment or leveling up and earning new or upgraded abilities. Dragalia Lost even offers synchronous online multiplayer with up to three other people who have the game, so friends can share the experience throughout the game’s main story adventure, additional quests and event raids. 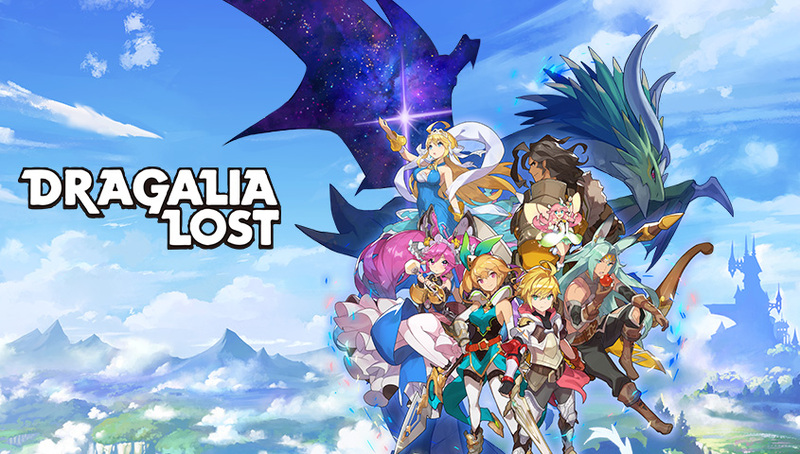 For more information about Dragalia Lost, including how to pre-register, visit https://dragalialost.com/en/.